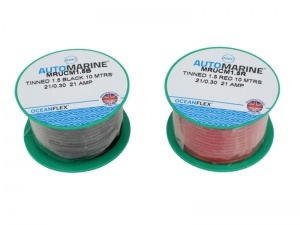 10m of 1.5mm² high temperature thin wall marine grade cable with tinned copper conductors, particularly suitable for marine and other harsh environments where plain copper conductors can corrode. This cable is the same specification as our plain copper thin wall cable, except that the copper conductors have been coated with tin to prevent corrosion. 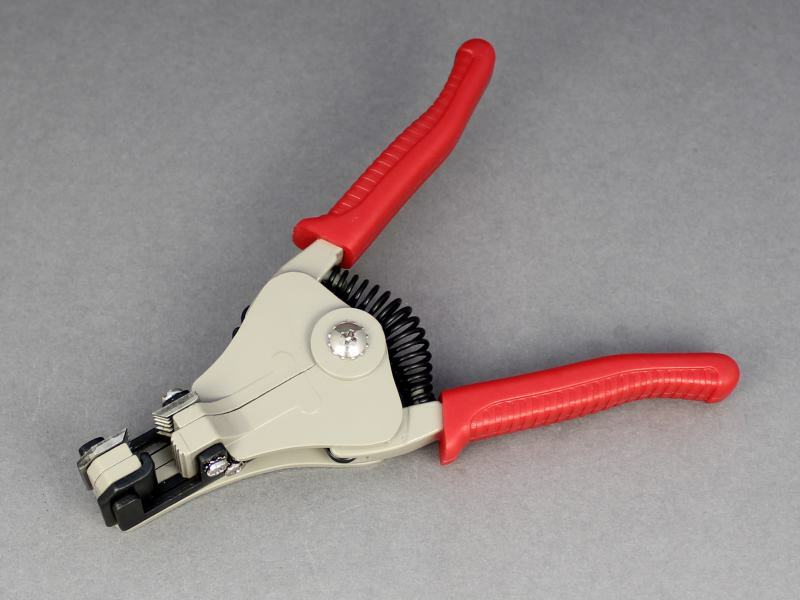 Thin Wall insulation provides significant weight and volume savings, particularly in large wiring harnesses, and the hard grade insulation provides good protection against abrasion damage and cut-through. It has good resistance to fuels (petrol & diesel), oils and dilute acids and a very high resistance to moisture. 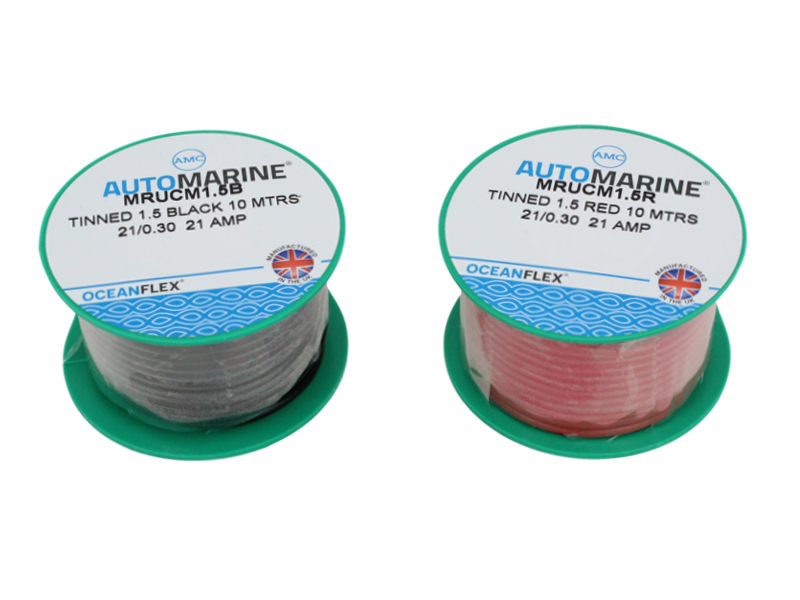 Wound onto a mini reel and ideal for smaller projects, for keeping to hand in your toolbox or as on-board emergency spares.